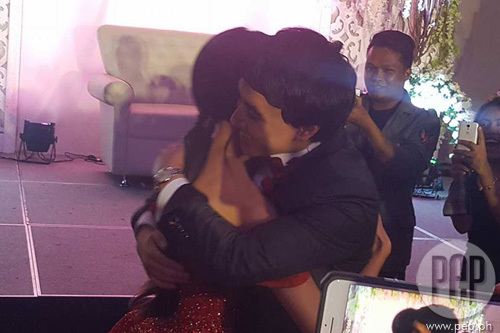 Maymay Entrata was escorted by her screen partner and fellow Pinoy Big Brother Lucky Season 7 Edward Barber. Presently celebrating her 20th birthday at Conrad Hotel in Pasay City is Pinoy Big Brother Lucky 7 Big Winner Maymay Entrata. 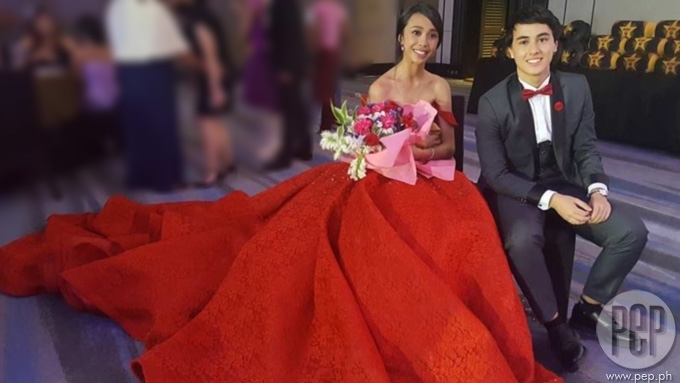 It's her most bongga party ever, and she is escorted by screen partner and fellow PBB housemate Edward Barber. 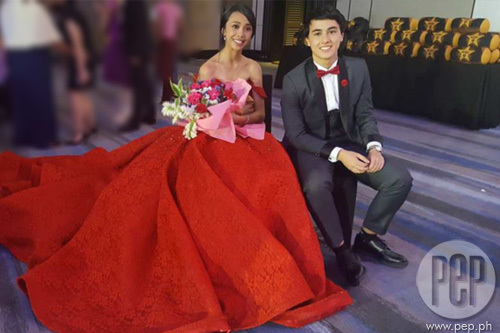 The birthday girl stands out in her red off-the-shoulder ball gown by Daniel Manila. With the crystal bead embellishments and lots of lace, Maymay is like a debutante. 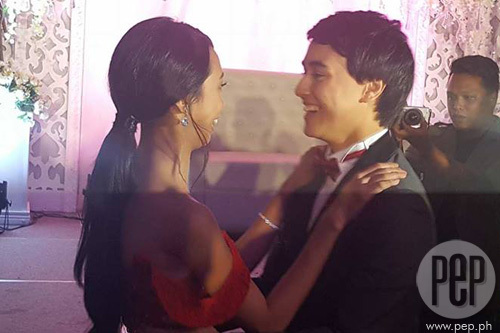 Maymay also gets to dance with Edward much to the delight of the MayWard fans. Her actual birthday, by the way, was May 6. 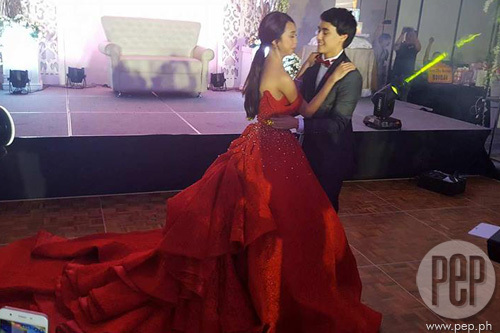 A bonggang party, lovely gown, nakakakilig dance with a cutie, Maymay is truly having the time of her life.